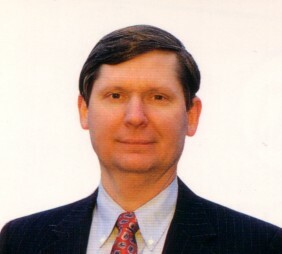 Michael S. Jenkins. Mr. Jenkins has been a professional trader and investor on Wall Street for 44 years and has been a frequent commentator on television and radio, and is often the subject of numerous popular financial magazine and newspaper articles. Mr. Jenkins has been a successful money manager for bank trust departments, mutual funds, and N.Y.S.E. Specialist firms. He has written and published since 1985 the Stock Cycles Forecast newsletter which has been acclaimed for having pinpointed the 1987 stock market crash to the exact day, the 1990 market top live on CNBC, and the 1998 top to the day along with almost all the other major cyclical turns in the market for the past twenty-two years including the big Bear Market of 2000, and precisely calling the July 2007 top and stating that it would be a collapse due to the overleveraging of the banks and brokers with sub prime loans. In 2011 he predicted the EXACT closing high day for the year, and the exact week of the low of the year. In 2012 he predicted in the cover story of Your Trading Edge Magazine the April top within one day and the price of that top within 1 point. In June 2012 he predicted that a low near 1310 would lead to a final top at 1468 which was the final high that year (see the 'Past Letter Archives' section for the original newsletters with these market calls). He has written five best selling books on professional trading as well as a Complete Stock Market Trading and Forecasting Course and a Secret Angle Trading Method, and the new revolutionary Square the Range Trading System and two Gann Planetary Volumes. Mr Jenkins also does personal training and teaches the esoteric secrets of the W.D. Gann methodology. Be sure to watch on YouTube Mr. Jenkins very informative teaching: Michael S. Jenkins The Science of Numbers Forecasting the Stock Market.